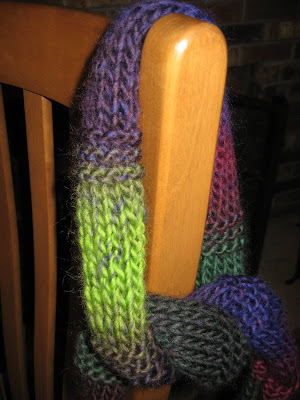 I used a simple design of small garter stitch sections alternating with larger stockinette sections, which produces those bumpy rings every few inches. This yarn is so warm and cozy, and the colors are just so rich and beautiful. I was very happy working with it and so pleased with the results of these two projects. 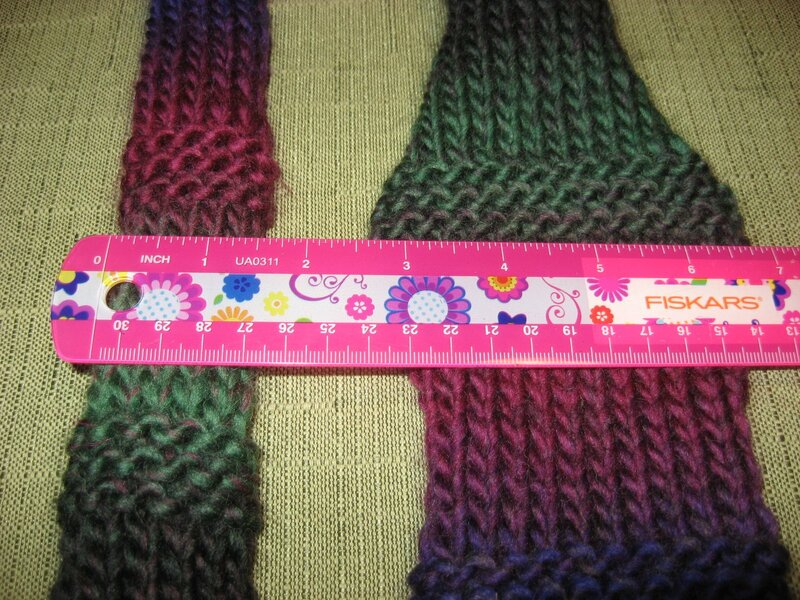 The scarf measures only about 48 inches in length, very short for a scarf, so it would be good for someone who is smaller or shorter or doesn't like much bulk. It also naturally wants to curl up into a tube as a result of the stitches I used, so when it is flattened out, the width measures about four inches, but curled up into a tube it is only about one and a half inches wide. 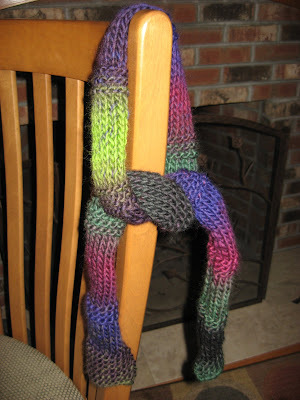 This scarf would also make a lovely accessory to wear on the outside of a coat since it is not very long. This pretty wool scarf will be making an appearance over in my Etsy shop very soon for the ridiculous price of only $30, mainly because of its small size and the fact that I used leftover yarn from another project to make it! So it's a good deal for me and a good deal for whoever buys it! I love a win/win situation! 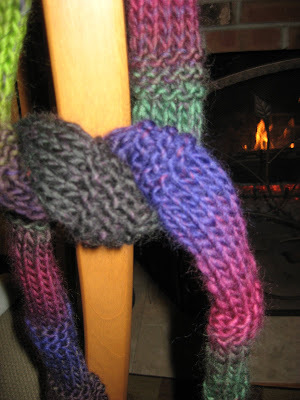 Today was a snow day here so my kids and I spent the day in front of that nice fire you see in the background of the scarf pictures. I crocheted on my Homespun Blocks afghan, they played and read and colored. A lovely day off for all of us! I hope you had a great day too!